This will take us back from 15 years ago. 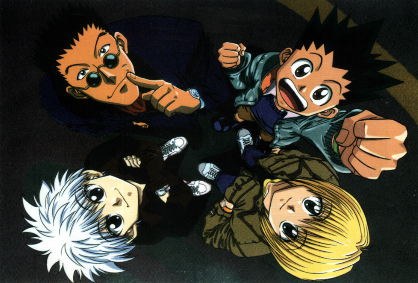 Ohayou by Keno is the opening song for Hunter x Hunter 1999 version. Hearing the song again will bring nostalgia to every Hunter x Hunter lover who was there since it all started. So that you can sing this wonderful and nostalgic song, we are here to provide you with its lyrics. English translation of Ohayou is also available for you to be able to understand its meaning. Before we proceed, let me say that Hunter x Hunter owned the best anime soundtracks, don't you think? Anyway, here it is. Ohayou! I've been getting awkward. Something's in the way and I can't even see the obvious things. Couldn't say things like "It's probably all wrong", and I was lost in myself. Honesty without sincerity doesn't mean anything to you.